Although not a city, Carrasco Uruguay is an exclusive seaside neighborhood and is most often described as one of the best settings in Montevideo. It is also known as an upscale suburb that features a variety of beautiful homes. With panoramic ocean views, brilliantly colored flowers, swaying palms and wide streets this modern community is one of the most popular regions in the capital city of Montevideo. 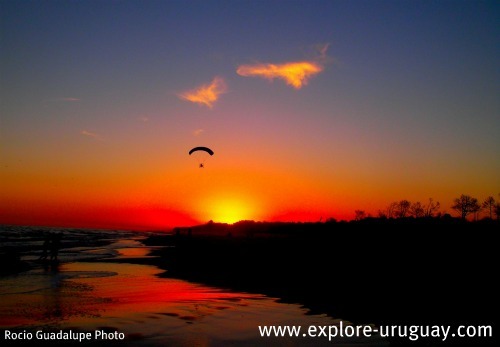 Even the Largest airport in Uruguay is now located in the tourist friendly setting of Carrasco Uruguay. Carrasco was once a resort with boundaries that sprawled along the southeast coast of Montevideo. Even then the serene surroundings and ocean front landscape made this little neighborhood one of the more memorable of Uruguay’s tourist destinations. Today this city in Uruguay is expensive, well-maintained and home to a large number of wealthy and famous residents. The buildings exemplify some of the finest architectural styles, the yards and gardens are colorful, and the close proximity of Carrasco to Uruguay’s capital city all add to this area’s desirable qualities. It is a well known fact that the people of Uruguay who live in the Carrasco neighborhood are well educated and enjoy the finer things in life. These are traits shared by people who live in other communities such as Punta del Este and Punta Carreta. In fact many of the political and banking leaders in Latin America have attended these very schools. You will also find that there some very popular sports clubs that are located in Carrasco, Uruguay. Among these are the Montevideo Cricket Club and the Carrasco Polo Club. Rugby, cricket, soccer and polo are just a few of the sports favored by the people of Uruguay who live in Carrasco. Travelers and tourists can even find budget priced accommodations at the Montevideo Hostel that will provide them with comfortable lodging that is quite near both Carrasco and other top attractions in Montevideo. A sightseeing trip will allow tourists to spend the day traveling along the broad expanse of La Rambla that connects the Port Maket, Carrasco Uruguay and the Old City. There are many other tourist attractions to enjoy while they travel about the city of Carrasco. These include the Estadio Saroldi in Montevideo, the Estadio Gran Parque Central, sunken ships and the Jardines Del Hipodromo. 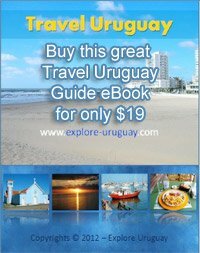 With a variety of restaurants, shops and sunny shores Carrasco, Uruguay is a wonderful place to learn more about life and adventures in this Latin American country. Live music, cultural activities, delicious foods and exciting festivals are all part of Uruguay life and in Carrasco you have the perfect environment to begin any South American journey of discovery.